Marchesa is a well-known empire in the fashion industry. Although the brand stands out for its elegant eveningwear, many may not know that Marchesa also has a bridal line. 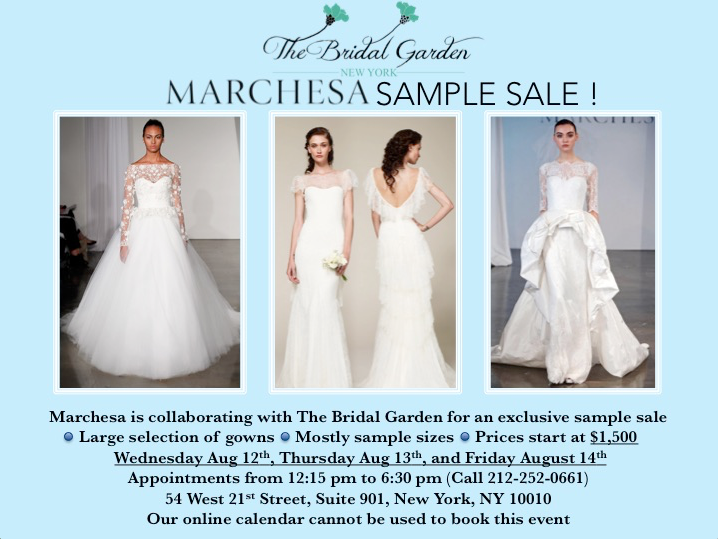 The Bridal Garden is honored to host a bridal Marchesa sample sale, as it’s the first time the luxury brand is collaborating with our salon. As a toast to the union, let’s take a look into the two women that built the company and how it has grown into the empire it is today. Georgina Chapman was a student at Chelsea College of Art and Design in London studying costume design. At the age of 17 in her life drawing class, she met Keren Craig, who was studying textiles with business. Georgina had an eye for draping and design, which paired perfectly with Keren’s textile creation. The fabulous combination resulted in a business partnership. In 2004, Marchesa was established. As luck would have it in that same year, Renee Zellweger wore one of Craig and Chapman’s gowns at the London premiere of her hit movie, Bridget Jones. 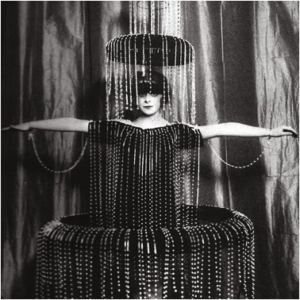 The power duo is influenced by Madame Gres (godmother of the Grecian gown), Madeleine Vionnet (a French patternmaker), Vivienne Westwood, Alexander McQueen, and the inspiring Italian socialite, Marchesa Luisa Casati, who said being a person is “being a living work of art”. Marchesa’a amazing collections are best described as Asian style meets signature vintage. The femininity and intricate beading have caught the eyes of many celebrities post-Renee Zellweger, such as Olivia Wilde, Jennifer Lopez, Blake Lively, Selena Gomez, Halle Berry, and many more that have donned the well-known brand on the red carpet. Craig and Chapman (both now only at the age of 39!) are based in New York with their collections offered worldwide. The duo is excited to transform the girl next door, which perfectly describes the unique sale we are having with Marchesa. The gowns are discounted from the original retail price and start around $1,500! The sale is being held on August 12th, 13th, and 14th. Make sure to book your appointment with us by calling (212)252-0661.